Frankfurt am Main, Germany, 2018-May-10 — /Travel PR News/ — MAXX by Steigenberger was launched in March as the fourth brand under the Deutsche Hospitality umbrella. The aims are to enhance the group’s portfolio and to contribute to growth by adopting a franchise-friendly approach and by offering flexible standards with regard to aspects such as destination and location. The main formal prerequisites that will enable all of this to take place have now been established. 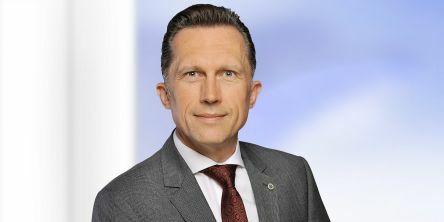 A limited company has been set up under the name of MAXX Hotel GmbH, and a managing director has also been appointed. The brand launch of MAXX by Steigenberger is in line with the group’s strategy of striving for expansion both within its German language domestic base and in the burgeoning international growth markets. MAXX will occupy the upscale segment and thus fill an existing space between the brands Steigenberger Hotels and Resorts (luxury and upper upscale), IntercityHotel (upper mid-scale) and Jaz in the City (lifestyle). Specific negotiations are already underway with a view to announcing initial locations in the very near future. The objective is to conclude five hotel agreements by the end of the year and further growth in the following years. This entry was posted in Hospitality, Hotels, Travel, Travel Management, Travel Services, Travelers and tagged Deutsche Hospitality, MAXX by Steigenberger, MAXX Hotel GmbH, Robert Boller, Thomas Willms. Bookmark the permalink.